Many people wish they had a large luxury SUV. They’re flashy, stylish, powerful, capable, and offer plenty of room for you and all your family or friends. When people think about a large SUV, though, they tend to automatically think about the added cost at the pump. However, companies are continuing to deliver vehicles offering better fuel economy. 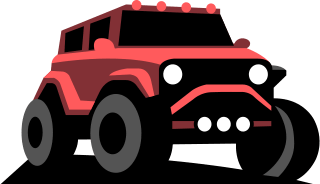 They’re constantly changing the architecture of these vehicles, the materials are often swapped out, and there’s more of an emphasis on the hybrid and electric vehicle movement. We’ve reported at length, for example, about how companies are completely changing their lineups to feature more hybrid and/or electric vehicles. While these three-row luxury SUVs are certainly far from cheap, at least they won’t cost you much in fuel costs! We’ve listed five that could please your passengers, but also your wallet at the pump! Who doesn’t want to own a Range Rover, let alone a Range Rover Sport? It’s a name that’s well-known and the vehicle packs plenty of power and offers sport handling. So, how could it also be fuel efficient? While it offers the same turbodiesel engine option as the Discovery, it costs a bit less to fill up. The EPA puts out estimates of what they expect an average driver to spend a year on fuel. 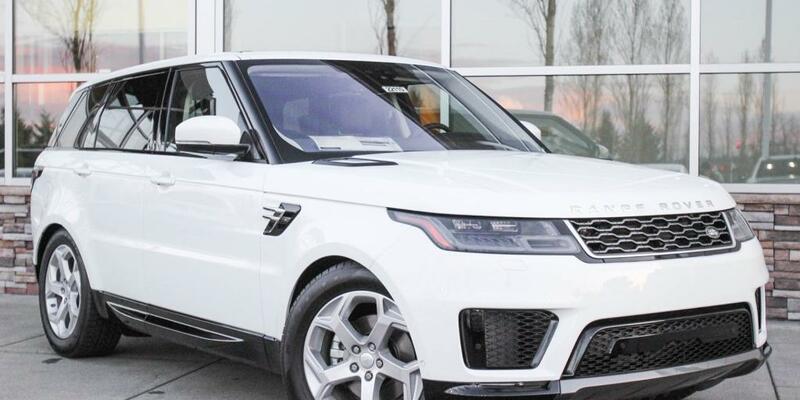 With the Range Rover Sport, you can expect to pay $2,000 annually. While this vehicle is technically midsize and that may contribute to the lower costs at the pump, it does offer a third row. It might be a little cramped, but some people don’t need to use it too often! The rest of the cabin is quite attractive. It has exceptional off-road capability, is agile, and offers plenty of safety features. It gets 22/28 miles per gallon on the city/highway and it has the second most expensive starting price on our list. The starting price is around $72,000. 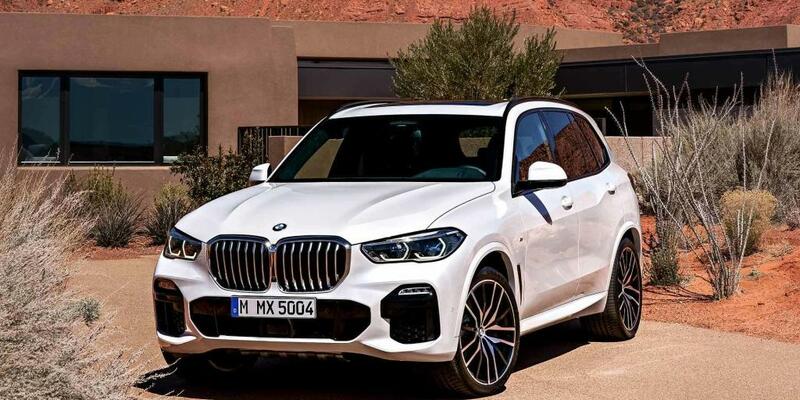 The 2018 BMW X5 is beloved by many. It offers a smooth ride, athletic handling, and a wonderful interior. There’s even a 10.2-inch touchscreen that comes standard with this vehicle! It also comes with the option of a fuel-efficient turbodiesel six-cylinder engine. It even features other bonuses like rain-sensing windshield wipers, and front and rear parking sensors. The X5 turbodiesel only comes with all-wheel-drive and costs about $1,500 more than the all-wheel-drive gasoline-powered X5. However, it will save you about $600 per year on fuel. That could make up for the added starting cost in just over two years! The EPA estimates it will cost the average driver $1,950 to fuel up annually. One final thing to note is that you do have to pay a couple thousand more for the third-row seating. What’s great about the Acura MDX is that you get the feel of a luxury SUV, but also the benefit of it having it cost less. The popular three-row SUV is versatile and enjoyable to drive. It comes in a standard 3.5-liter V6 engine configuration paired to a nine-speed automatic transmission. Or, you can opt for the gas-electric hybrid which delivers on fuel economy with 26/27 mpg city/highway. 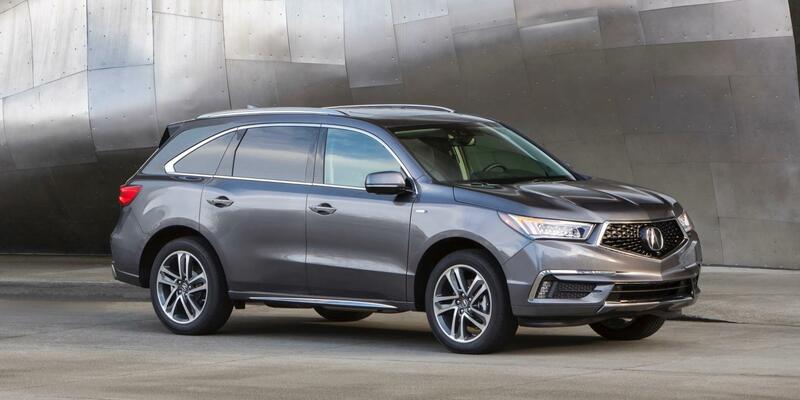 The Acura MDX Sport Hybrid uses a smaller 3.0-liter V6 in conjunction with three electric motors. The combined output results in more horsepower. The system churns out a combined 321 hp. It’s paired to a seven-speed automatic transmission. The seven-seat crossover is also all-wheel-drive. It’s faster than the standard, and will save you in fuel costs. The EPA estimates the hybrid MDX will cost you $1,900 on average in that area each year. It has a starting price of around $53,000. The Lexus RX has been known for its excellent build quality and for being reliable. But, in the past it only offered two rows. 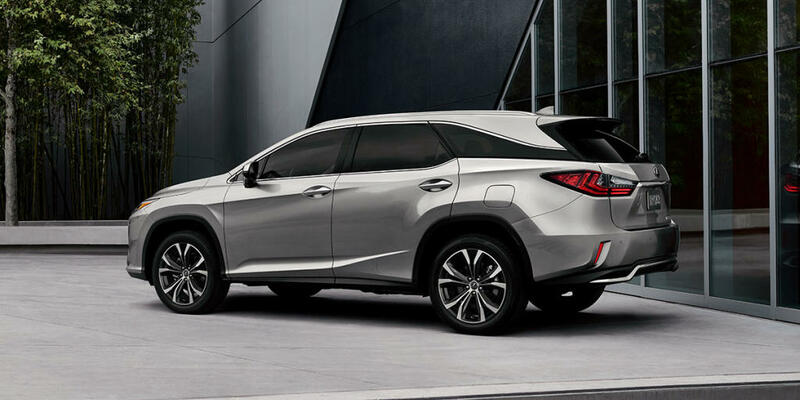 That changed with the all-new 2018 Lexus RX L, as it has an extra row of seats. It comes in a hybrid RX 450hL option or standard RX 350L. While the new third row isn’t incredibly roomy, it’d be perfect for folks just occasionally needing it for extra passengers in the back like kids. The hybrid version will save you the most at the pump and it is powered by the same V6 engine as the standard RX. It also had three electric motors, though, which results in more horsepower. While it does require you to use premium fuel, it still saves you about $250 per year in fuel over the standard RX L.
The hybrid RX L only costs $1,500 more than the non-hybrid, which has a starting price of $50,260. So, it may just be smart to go with the hybrid! 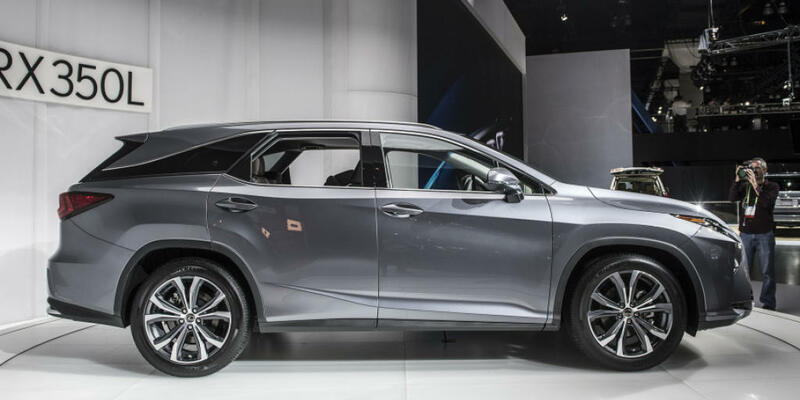 In total, the EPA estimates your overall annual fuel cost with the Lexus RX 450h L will be $1,750. This is probably the most controversial three-row luxury SUV on our list. While Tesla is known for delivering highly efficient vehicles, it’s also been in a bit of a slump lately. There have been a number of company departures and some have even questioned CEO Elon Musk’s actions as of late. Nonetheless, Tesla SUVs are still loved by those who care about avoiding spending money on fuel and also helping the environment. Of course, this is the only SUV on our list that doesn’t accept any form of traditional fuel. That means you’ll save a significant amount on gas money. 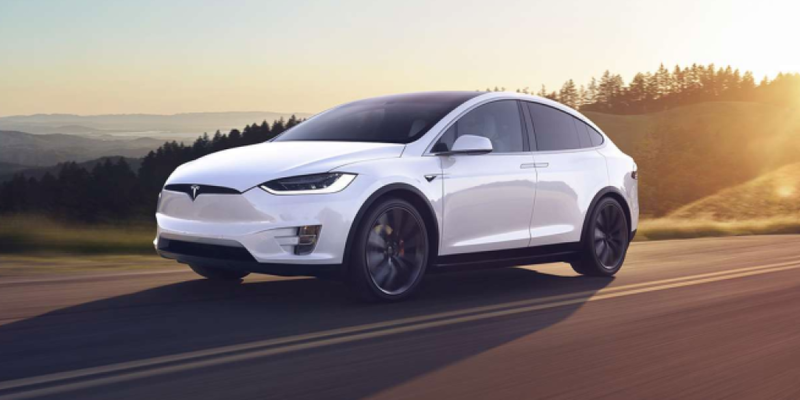 All in all, the EPA estimates the all-wheel-drive Model X 75D will cost you a mere $700 a year. Remember, you always need access to charging stations but those are also becoming more available! We admit, the Model X is an expensive option. It’s the most expensive on our list as the seven-passenger electric SUV starts at $82,500. But, it has amazing acceleration, offers plenty of cargo space, and has a whopping 17-inch touch screen. Plus, Falcon Wing rear doors! If you have the money, why not?